Watching the Peanuts Gang during the holidays has always been a family tradition in my household when I was a child, I'm so happy I passed this tradition down to my daughters. The other day, while we were getting advance tickets to see Inside Out, Lauren pointed out that The Peanuts Movie was coming to theaters soon and wanted me to take her. I will gladly take both of my girls to see this and can't wait to continue the family tradition of watching The Peanuts each holiday but now including seeing them on the big screen. 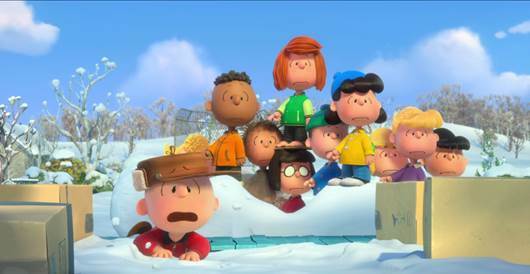 The highly anticipated FOX Family Entertainment film PEANUTS has released an all new trailer! Catch Charlie Brown, Lucy, Linus and the rest of the beloved PEANUTS gang make their big screen debut in this 3D animated film this fall November 6th! Mark your calenders! 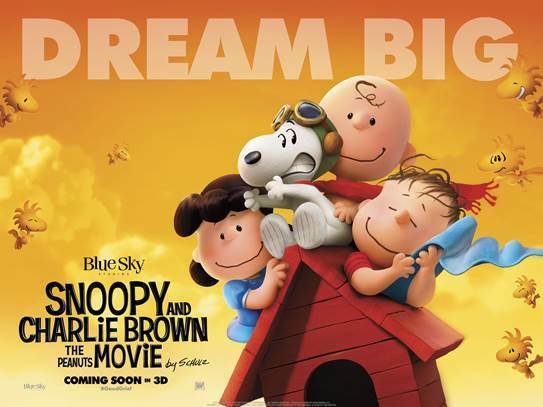 Snoopy, the world's most lovable beagle- and flying ace - embarks upon his greatest mission as he takes to the skies to pursue his arch-nemesis The Red Baron, while his best pal, Charlie Brown, begins his own epic quest. From the imagination of Charles M. Schulz and the creators of the ICE AGE films, THE PEANUTS MOVIE will prove that every underdog has his day. My family can't wait to see the Peanuts movie. My kids LOVE the Peanuts, so we will actually be there on the first day that it opens. Yay! Too bad you don't live in Atlanta so we could've all went together. This looks so cute! I can't wait to see it. Yeah this movie does look very cute!